Let your iPhone shine through while protecting it from drops and scratches with the iGuard FlexShield Case. Compatible with the wireless charging function, this slim and flexible case combines an impact-absorbing TPU bumper and a durable polycarbonate shell to provide 2 meter drop protection. 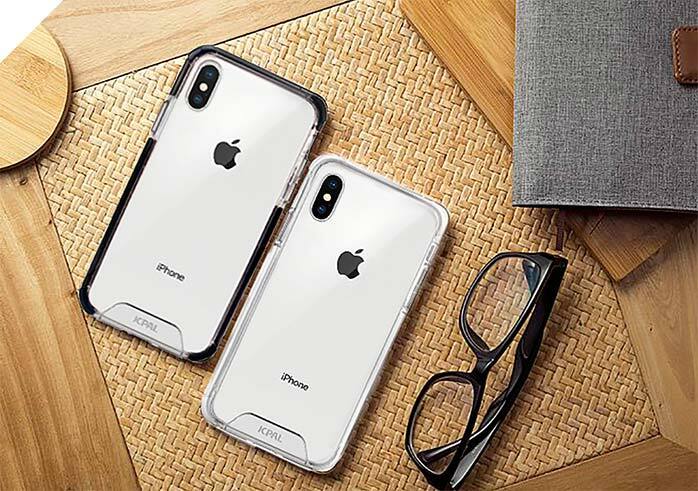 The scratch resistant outer shell is printed with a micro dot pattern to prevent watermarks and is UV discoloration resistant to ensure your iPhone always looks as good as new. The case sidewalls feature an impact-absorbing TPU bumper that helps dissipate impact energy and provides 2 meter drop protection. 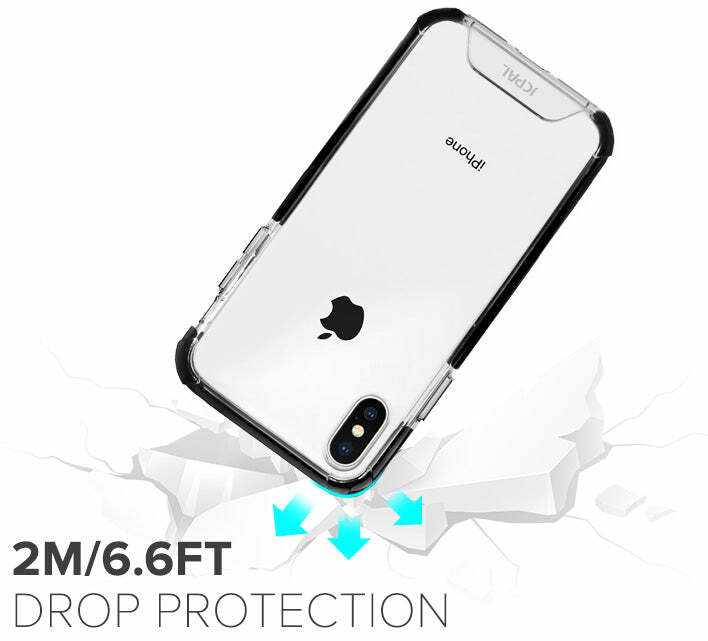 The case combines the dual protective features of cushioning TPU sidewalls and a hardened polycarbonate back to provide excellent drop and scratch protection. A thin 0.4mm bezel around the case back protects your camera lens from scratches when the case is laid on a flat surface. 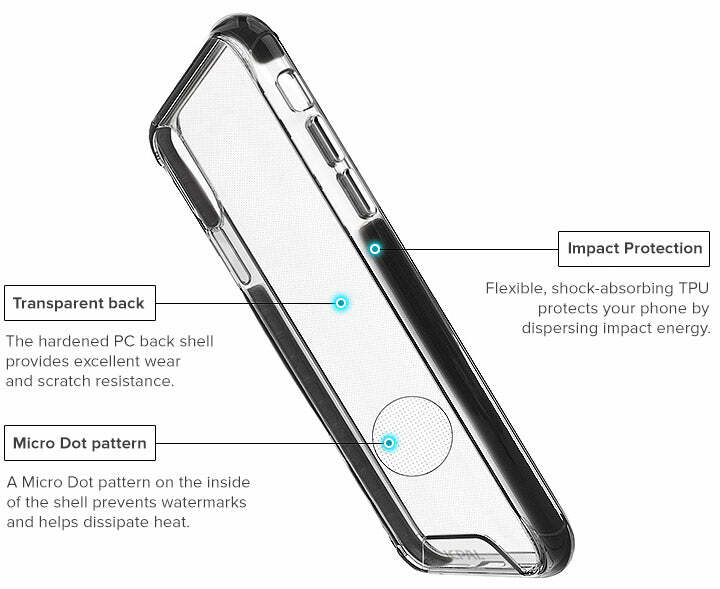 The iGuard FlexShield case is precisely molded for a perfect fit and features carefully designed cutouts that allow access to all your phones features. Press down on the remaining corners to push the iPhone Xs or Xs Max into the FlexShield case and complete the installation.